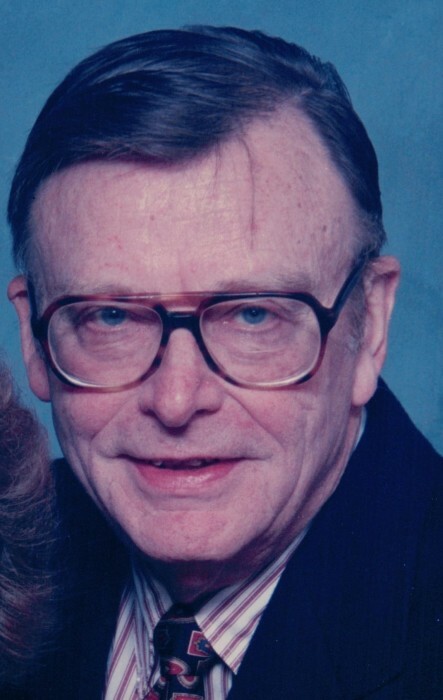 Obituary for Roy W. White, Jr. | Magner Funeral Home, Inc.
Roy W. White, Jr., age 90 of Norwalk, died peacefully at Notre Dame Convalescent Home on Sunday, October 14. He was the loving husband of Patricia Braun White for 68 years. Roy was born in Norwalk on April 8, 1928, the son of the late Roy W. and Lillian Collins White. He was a graduate of Yale University and was a member of the CT National Guard. He worked for many years as an engineer, with G. E., Clairol, and Hamilton Beach. Roy was a longtime member of the Shore & Country Club and an original member of St. Jerome Church. He enjoyed golf and sailing; and volunteering his time at church and the Manna House Soup Kitchen. He also enjoyed cooking and having a vegetable garden. In addition to his wife, Roy is survived by his children Patti-Anne, Susan, Sheila, Maureen, Kevin, Katie, and David, 15 grandchildren, 6 great grandchildren and many nieces and nephews. He was also predeceased by his sister Marion White Iffland. A Mass of Christian Burial will be celebrated on Saturday, Oct. 20, 11 AM at St. Jerome Church, 23 Half Mile Rd., Norwalk. Burial will be private and there are no visiting hours. Donations in Roy’s name may be made to the Open Door Shelter, 4 Merritt St., Norwalk, CT 06854 (www.opendoorshelter.org) or St. Jerome Church.